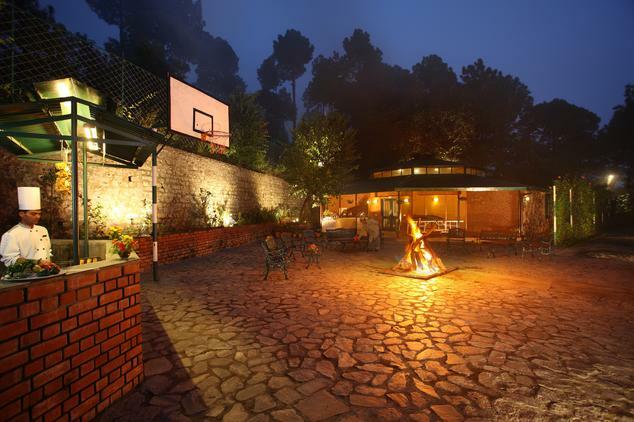 Spread across 5 acres of beautiful expanse and surrounded by green pine forest, Baikunth Resort is a very popular three star property located in the Kasauli hill station. The resort is very popular among local as well as foreign guests because it is able to strike unique balance between the natural beauty and modern comforts. The resort is located in secluded mountain and therefore offers jaw-dropping view of the majestic mountains and valley, while also offer all the necessary modern comforts. 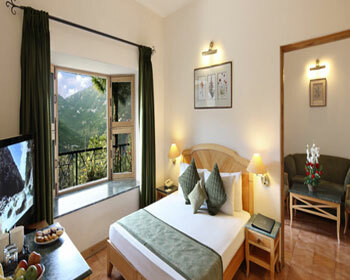 Patrons can choose to stay in any of the lavish rooms and cottages available here. These are classified into four categories of Deluxe Valley View Rooms, Deluxe Valley View Cottages, Superior Valley View Cottages and Premium Mountain view cottages. 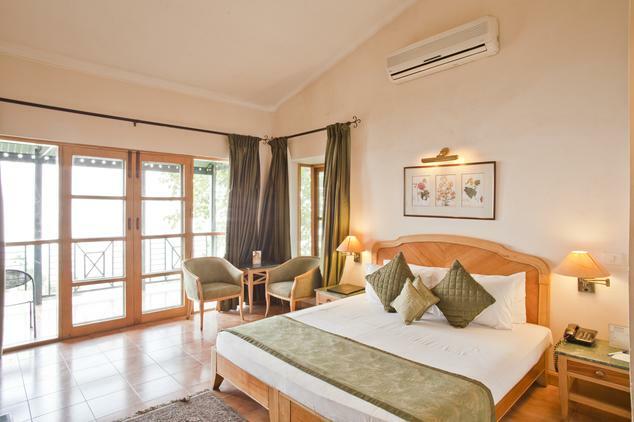 All the cottages have classy décor and necessary amenities – features to ensure pleasurable stay for guests. To pamper the taste buds of patrons, Baikunth Resort has developed a multi cuisine restaurant that serves Indian, Chinese and continental delicacies. If you would like to enjoy a drink in the scenic surroundings head to Glass House Bar, or satisfy your mid-day hunger at Jungle Café. Baikunth Resort keeps clients at the core of its business strategy and therefore has developed other facilities and services for guest. These include an Ayurvedic massage therapy center with Sauna, Jacuzzi and yoga facilities, spacious car parking facility, express laundry service, doctor on call facility and scenic venues for parties or other social events. 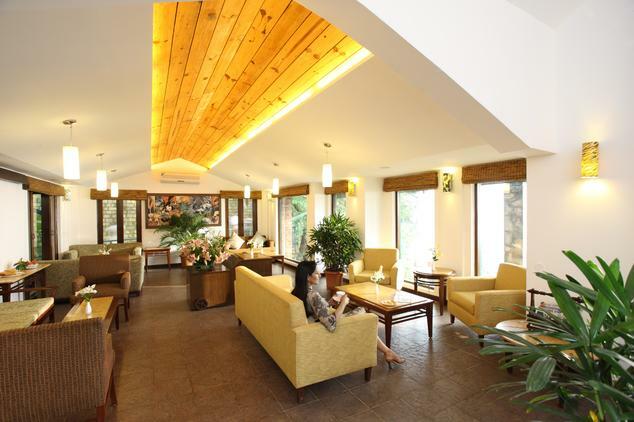 Deluxe Valley View Rooms are the simplest accommodation option available at Baikunth Resort. 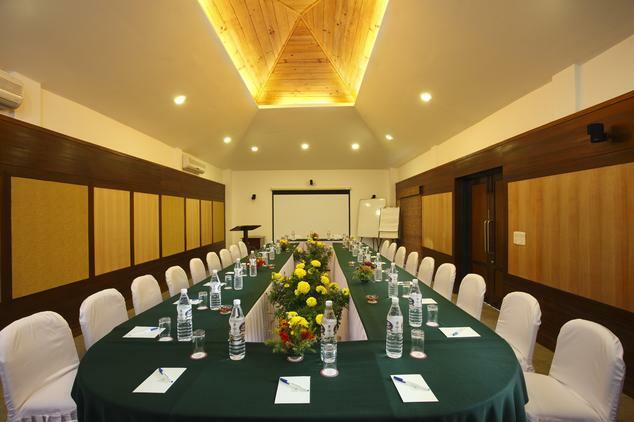 The rooms are quite spacious and reflect the scenic charm of the natural surroundings in its décor lighting them up with cheerful ambience. 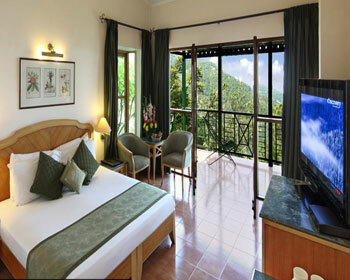 Designed very tastefully and furnished carefully, the rooms are sure to serve guests in every possible way. As the name suggests, the Deluxe Rooms offer unrivalled view of the valley and surrounding mountains and therefore are loved by nature lovers. Equipped with all necessary amenities and features such as private bathroom, mini bar, electric kettle, satellite television, telephone, comfortable bed, room heater, hot and cold water availability, room service and others; the Deluxe Valley View Rooms are sure to impress both local as well as foreign guests. 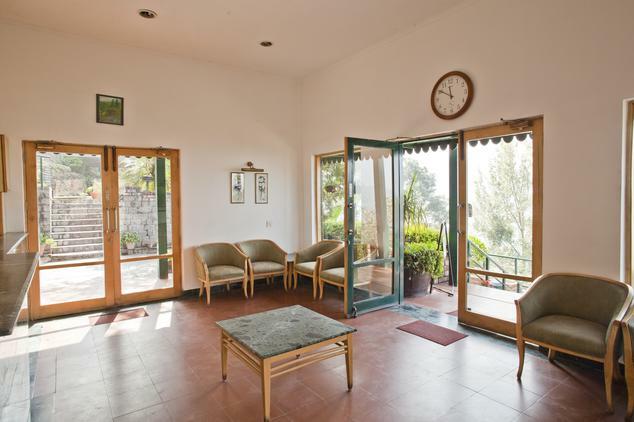 Designed to offer a home-stay like experience to guests traveling to Kasauli, the Deluxe Valley View Cottages are prefect accommodation choice for group travelers. 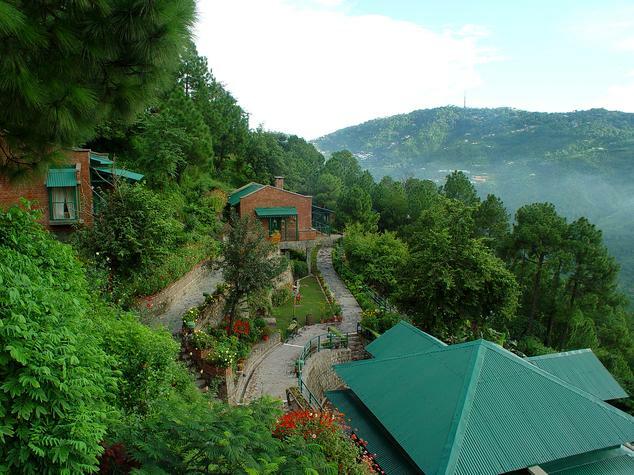 These cottages are divided into spacious living and bedding area with private bathroom and sit out area from which guests can enjoy the majestic view of the mountain and beautiful valley. 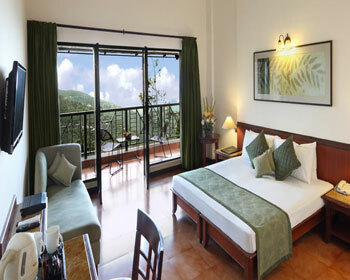 The cottages have unique architectural design and nature inspired interior décor theme that sets them apart from others. 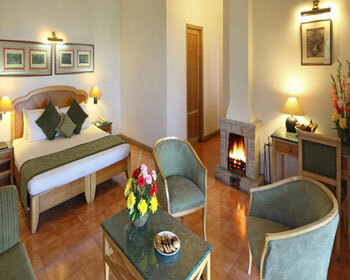 The rooms are furnished with premium fittings to give it a very plush feel and appeal. 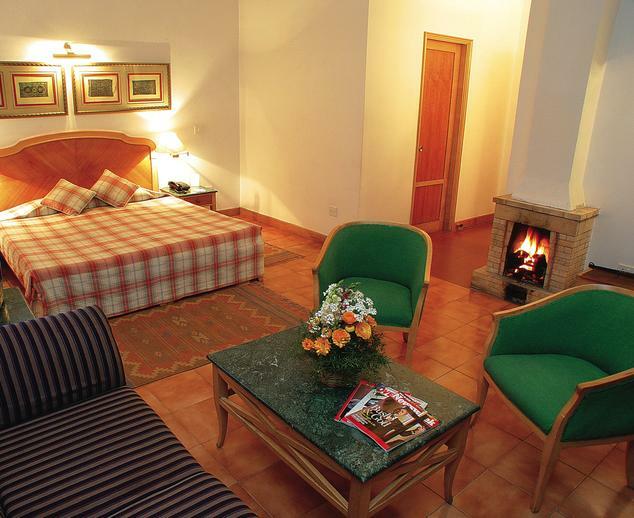 Although located in the secluded mountains, the Deluxe Cottages are fitted with all necessary comfort creatures such as fireplace, comfortable bed, private bathroom, mini bar, electric kettle, satellite television, telephone, room heater, hot and cold water availability, room service and others. 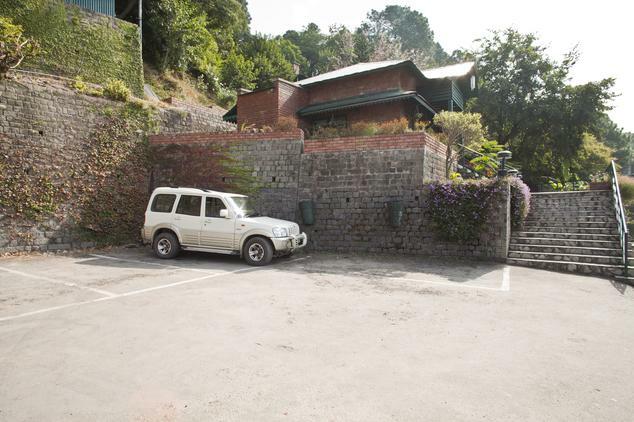 Blending comfort and luxury in the best way possible, the Superior Valley View resorts offer the perfect accommodation choice for guests traveling to Kasauli hill station. These cottages are designed by experienced interior designers in a way that they cater to the evolving needs of the modern day travelers while maintaining the natural rustic charm of the scenic surroundings intact. 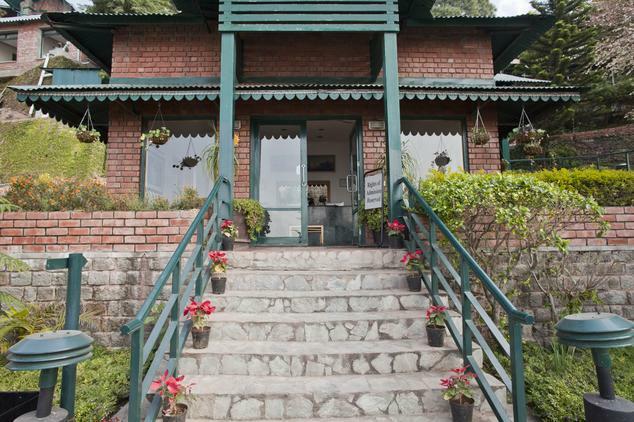 Unique architectural style and classy décor ensure that patrons feel welcome and at home at these Superior Cottages. The cottages are good to look at and offer several practical amenities and features that ensure pleasurable staying experience. The sit out verandah and private balcony allows patrons the opportunity to enjoy nature’s delight right from the comfort of their room. On amenities front, the Superior Valley View Cottages boast of fireplace, comfortable bed, private bathroom, mini bar, electric kettle, satellite television, telephone, room heater, hot and cold water availability and room service. 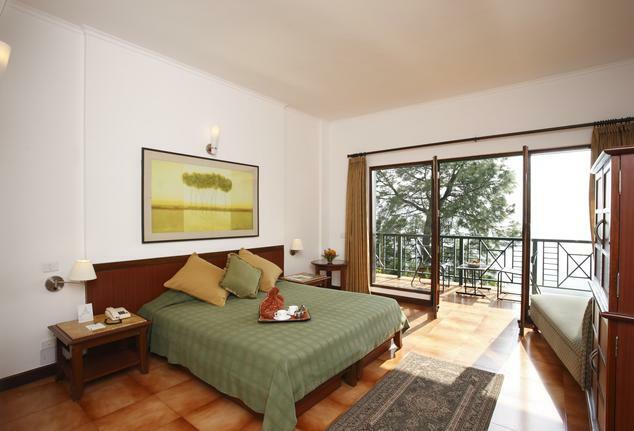 Premium Mountain View Cottages are the finest accommodation option available at Hotel Baikunth Resort, Kasauli. Often the first choice for VIP guests and celebrities traveling to the region, these cottages are designed to reflect class and elegance in the best possible manner. The Premium Cottages consist of separate living area, comfortable bedroom, private bathroom and terrace balcony that directly overlook the majestic mountains. The décor is the room is opulent in nature and is designed keeping in mind the natural beauty and scenic wonder that surrounds the cottages all around. 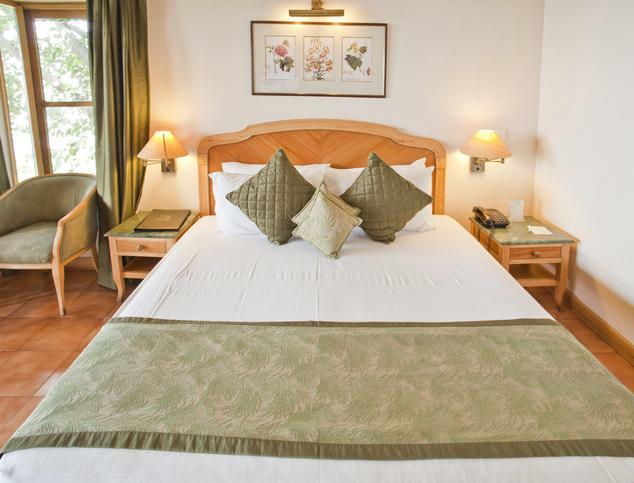 Furnished with premium fittings and quality materials; the Premium Mountain Rooms guarantee pleasurable stay for guests. Patrons will also be pampered with all modern day amenities and features like fireplace, comfortable bed, private bathroom, mini bar, electric kettle, satellite television, telephone, room heater, hot and cold water availability and room service, during their stay here. 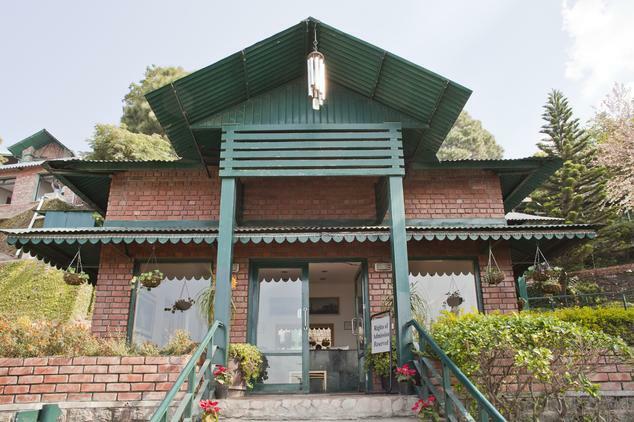 Enjoy your favorite meals while resting in the lap of majestic mountains and scenic natural surroundings. With unrivaled view of the scenic beauty, the in house restaurant at the Baikunth Resort offers perfect setting for guests to have a memorable dining experience. This multi cuisine eatery specializes in serving authentic Indian, Chinese and continental flavors to pamper the taste buds of the guests. Patrons can also order local delicacies and dishes that are listed on the menu here. These delicacies are prepared as per local recipes using rare spices and organic ingredients that bring out the best flavors in the dishes. The warm and affectionate service and high hygiene standards further impress the patrons who choose to dine here. 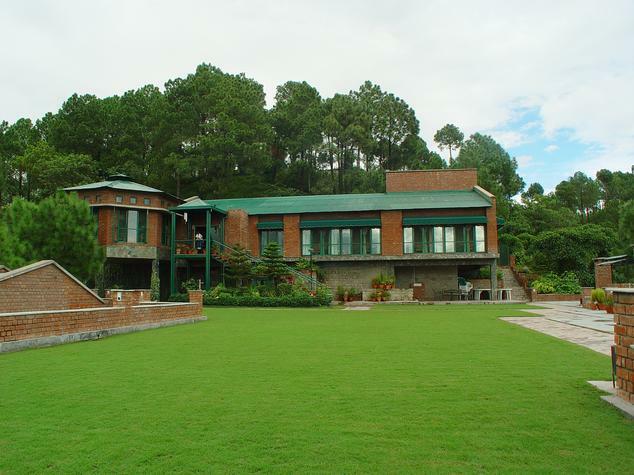 Glass House Bar is one of the most popular watering holes in Kasauli town and is known for its classy ambience and elegant setting. 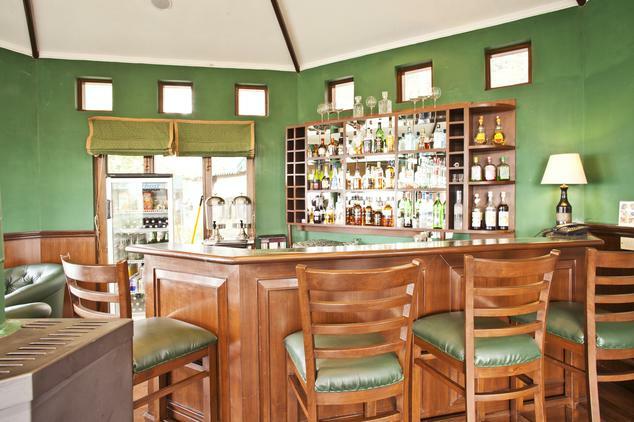 The Glass house bar has one of the finest interiors that truly complement the surrounding natural beauty. 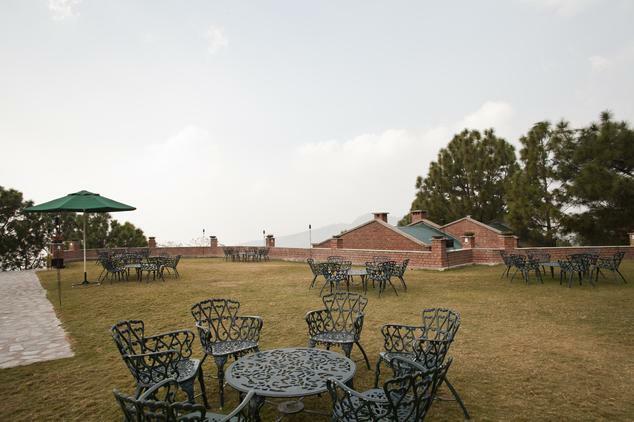 Patrons can enjoy their favorite drinks in the lap of nature while enjoying the majestic view of the Mountains. The Bar serves all the popular local and imported brands along with an assortment of cocktails to keep guests in right spirits. Patrons can complement their drinks by ordering delectable snacks and finger food listed on the menu. If you suffer from untimely hunger pangs or just have an awkward body cycles, then Jungle Café is the place that you would love the most. 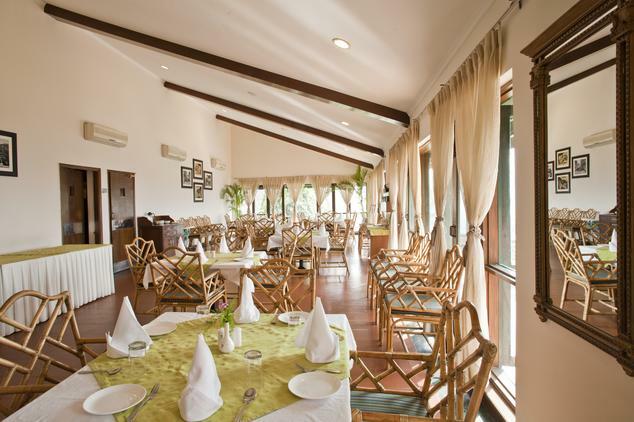 This snack bar is located on the premises of Baikunth Resort and serves an assortment of mini meals, snacks and finger food to keep patrons refreshed and satisfied. Patrons can also try hot and cold beverages to beat the mid-day blues. 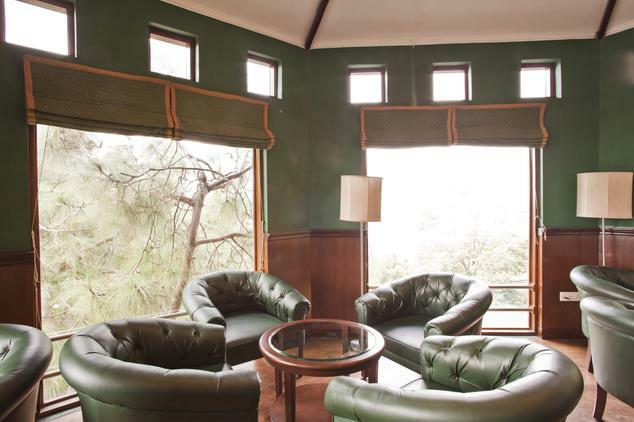 The elegant décor and casual setting makes Jungle café ideal spot to hang-out with friends while enjoying the scenic natural beauty that Kasauli has to offer. Be sure to try the local snacks that are served here, they are worth a try!